Listen up if you’ve done business with PG&E, now or in the past. The PG&E bankruptcy affects you in varying ways, as we explore below. Should you keep doing business with PG&E? If you do are you going to get paid? When? What about money PG&E owes you now – when and how will you get paid, and how much will you eventually get? What about the contract or commercial real estate lease you have with them? Or the union contract you are working under. Should you sell your claim? If you are a customer: yes, you have to pay your bill and no, the lights aren’t going out – unless of course you don’t pay your bill. We can’t answer all the possible questions about the PG&E bankruptcy here, but we’ll provide an overview and help you decide if you need a lawyer. PG&E filed for Chapter 11 bankruptcy on January 29, 2019 in the U.S. Bankruptcy Court for the Northern District of California, San Francisco Division. PG&E’s bankruptcy cases have been assigned to Judge Dennis Montali, to be jointly administered under Case No. 19-30088. Note that Judge Montali presided over the first PG&E bankruptcy 18 years ago. The initial filing lists $51.7 billion in debts and $71.4 billion in assets. That’s relevant because, on these numbers, PG&E is solvent and a Chapter 11 plan should pay everyone with an allowed claim in full. get important information and dates. For additional information about the reorganization process, including press releases and FAQs, you can also visit PG&E’s page on the case. What’s a Chapter 11 bankruptcy? Chapter 11 bankruptcy allows a company to restructure its financial obligations while keeping the lights on (pun intended, apologize, moral imperative). Almost all debts and financial obligations owed prior to the bankruptcy filing (“Pre-Filing Claims”) are paid through a Chapter 11 plan (“Plan”) that PG&E is expected to put forth as the bankruptcy case moves forward. Prior to a Plan being approved by the Court (that approval is called “confirmation”), PG&E will operate as a “Debtor-in-Possession” under the supervision of the Bankruptcy Court. That means PG&E can continue to do business sort of as usual. Creditors and vendors can continue to deal with PG&E with some assurance that claims for services rendered and good delivered after the case was filed will be paid timely (called “Post-Filing Claims”). For example, the Bankruptcy Court entered an Interim Order on January 31st authorizing PG&E to pay certain Pre-Filing lien claimants in the ordinary course of business (up to a maximum of $25,800,000.00), and granting administrative priority status to claims for deliveries to PG&E after the bankruptcy filing on Pre-Filing orders allowing them to be paid in the ordinary course of business. But (and there are a lot of “buts” in Chapter 11), there are strings attached to these payments, and PG&E can challenge them at a later date. Also, depending on the nature of the services rendered, goods delivered, and contracts and leases covering such goods and services (which may be “executory contracts”), they may or may not fall under the Interim Order. So, while PG&E may tell you they will gladly pay you on Tuesday for a hamburger today (does anyone remember J. Wellington Wimpy? ), care should be taken to make sure. PG&E has the exclusive right to propose a Plan until May 29, 2019, and the exclusive right to have that Plan approved by the Bankruptcy Court until July 28, 2019. After that date, other groups or creditors can propose a competing plan. Creditors’ and shareholders’ claims and interests will be sorted into classes under the Plan. Allowed claims and interests get to vote on whether to accept the Plan. The Plan will be confirmed if the creditors in classes impaired by the Plan approve the Plan by at least 2/3 of the dollar amount of allowed claims voting in each class, and 1/2 of the number of the allowed claims voting in each class. Governmental regulatory agencies will also have a say on whether or not the Plan is approved, which is what makes this bankruptcy case even more complicated than the usual large Chapter 11. Chapter 11 is complex, no getting around it. For example, all claims are not created equal – Pre-Petition Claims for taxes, wages, salaries, commissions, vacation, severance, retiree benefits, contributions to employee benefit plans, deposits, and a host of others may be entitled to priority for payment in whole or part. Some of these “Priority Claims” must be paid in full within a limited period of time. Claims secured by collateral such as real estate, equipment and the like (“Secured Claims”) are also separately treated. Secured claims may be entitled to either be paid the value of the collateral over time, or return of the collateral. Often a Secured Claim will be split (“bifurcated”) between a Secured Claim and an unsecured claim depending on the amount owed compared to the value of the collateral that secures the claim, giving the creditor claims in more than one class under the Plan for the same debt. Such creditors may have the right to make an election under Section 1111(b) of the Bankruptcy Code to waive their unsecured rights and have their entire claim treated as secured regardless of the value of the collateral, but (another “but”), that is beyond the scope (way beyond) of this brief note. Creditors may have pre-bankruptcy contracts or leases with PG&E that are called Executory Contracts. At some point, PG&E must either “assume” or “reject” them. First, identifying whether or not you have an Executory Contract is no easy task. Think you might have one of these Executory Contracts with PG&E? No problem. Oh, and a union labor contract is, you guessed it, an Executory Contract, rejection of which is covered by a different Bankruptcy Code Section (§1113), which has spawned volumes of case law and comment. One more thing. Maybe you dealt with PG&E, but they don’t owe you any money at this point and you don’t have a Pre-Petition Claim. Well guess what – under the Bankruptcy Code, PG&E can “clawback” payments and other forms of transfers if certain conditions are met. These are known as “avoidable transfers,” and the look-back period can in some cases be up to 4 years (or even longer). And this is an important consideration before filing a Proof of Claim, which (among other things), waives your right to a jury trial. Some may remember PG&E’s 2001 Chapter 11 bankruptcy, a case where the author still receives occasional notices some 18 years later. Most experts agree that this earlier bankruptcy was born out of the way California’s public utilities were regulated by the California Public Utility Commission (CPUC), which (if memory serves) began requiring utilities like PG&E to supply as much power as customers wanted at rates determined by the CPUC. A drought in 2001 limited PG&E’s opportunities to buy inexpensive hydroelectric power, and as a result PG&E had to buy more expensive power from out of state suppliers, some of whom (allegedly) artificially manipulated the market to reduce supply and drive up prices. It is estimated this eventually cost PG&E and California somewhere between $40 and $45 billion (See, Weare, Christopher (2003); The California Electricity Crisis: Causes and Policy Options; p. 3–4; San Francisco: Public Policy Institute of California. PG&E emerged from bankruptcy in April 2004, after paying $10.2 billion to its hundreds of creditors. As part of the reorganization, PG&E’s 5.1 million electricity customers had to pay above-market prices for several years. Yes! Also not to be forgotten, PG&E is on probation as part of a criminal proceeding for its role in the San Bruno pipeline explosion in 2010. While PG&E may take the position Judge Alsup doesn’t have much latitude to change the terms of PG&E’s probation in light of the bankruptcy filing, this criminal case will likely bear significantly on the outcome of PG&E’s Bankruptcy Case. If an investigation finds that PG&E recklessly operated and maintained power lines, the utility company could face murder, manslaughter or lesser charges in connection with recent deadly wildfires. PG&E’s Chapter 11 bankruptcy may take more than 2 years before a Plan is confirmed, and during that time there are a number of key events that will shape the outcome in addition to the Criminal Case. For example, there is the role of regulatory agencies such as the Federal Energy Regulatory Commission (“FERC”). FERC is an independent agency that regulates the interstate transmission of electricity, natural gas, and oil. FERC also reviews proposals to build liquefied natural gas (LNG) terminals and interstate natural gas pipelines as well as licensing hydropower projects. (3) that the Bankruptcy Court, to the extent the automatic stay does not apply, exercise its powers under section 105 of the Bankruptcy Code and preliminarily and permanently enjoin any FERC Action. There is a motion pending to “withdraw the reference,” so that the FERC Adversary Proceeding can be heard by the District Court instead of the Bankruptcy Court, along with a number of motions by parties to some of the PPA’s seeking to intervene in the FERC Adversary Proceeding. The outcome of the FERC Adversary Proceeding will set an important precedent on PG&E’s rights to control its fate, which in turn will drive the terms of the Plan. Also, there will be hearings to determine the appointment of various committees of creditors, bond holders, and other interested parties (such as fire victims) who will have a significant voice in the Bankruptcy Case. And dates and deadlines will eventually be set by the Bankruptcy Court for such things as filing Proofs of Claims, assuming or rejecting Executory Contracts, and filing a Plan. Should I just sell my Claim? If you are a holding a Claim against PG&E, you may be contacted by a debt buyer (or claims trader) offering to pay you cash now to buy your Claim. Sounds good, but the contract you will be asked to sign must be carefully scrutinized, as it will likely contain a number of contingencies. This author does not recommend selling a Claim under any circumstances without having a lawyer review the proposed contract. If you have a Secured Claim, potential Executory Contract (including a real estate lease), potential priority claim, general unsecured claim, or face a potential Clawback, you should talk to a bankruptcy attorney with Chapter 11 experience. 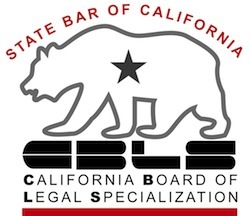 A good place to start is is the California State Bar’s list of certified bankruptcy specialists. Many of those attorneys have significant Chapter 11 experience, and can assist you with assessing these complex issues. You can reach Wayne by email at wsATwaynesilverlaw.com or by phone at (650) 282-5970 . We hope to expand our discussion of PG&E’s bankruptcy filing in the following days.